This is Definitely a Treat — A Todd Reed Trunk Show! Posted on October 17, 2011 at 4:48 pm. While it is the season of tricks and treats, there’s no mistaking what this weekend will be about at Max’s. 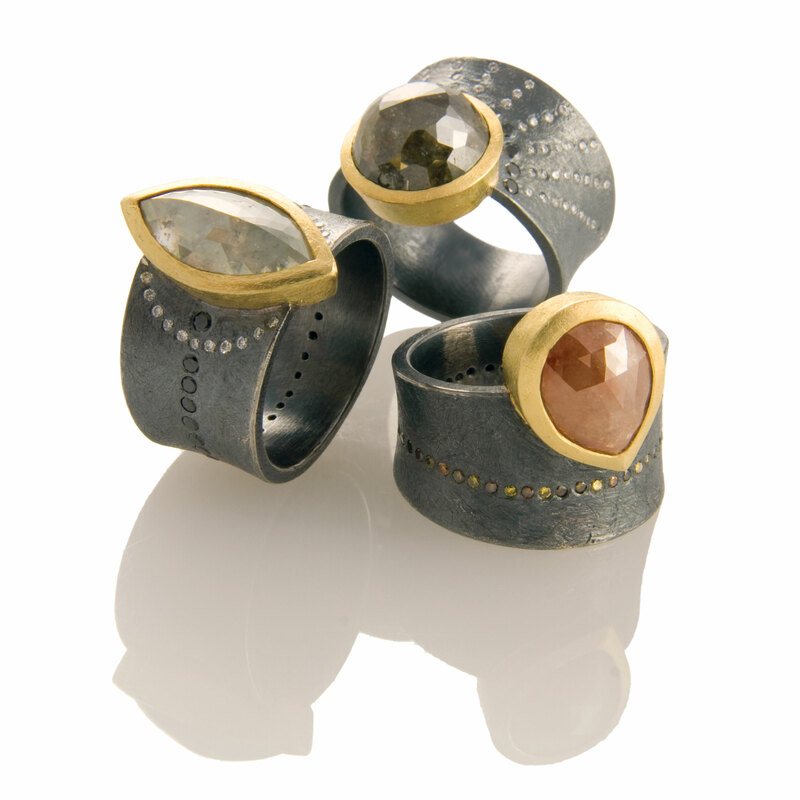 It’s going to be a definite treat as we host a trunk show with the beautiful creations from Todd Reed. Best known for his work with raw and rose-cut natural color diamonds, Todd is also now working with other gemstones — and always coming up with something new and fabulous. Naomi from Todd’s studio will be here on Friday and most of the day Saturday (but don’t worry — the jewelry will be here through Sunday! ), so we’re anxious to see what she has in her bag of treats this weekend — Friday from 11-7 and Saturday from 10 – 6.